Ko pride do nege las, ne eksperimentiram s toliko različnimi izdelki, kot se to dogaja pri negi obraza. Saj preizkusim kakšen nov izdelek, a niti približno jih ne menjujem tako kot za obraz. Zato sem pa le še bolj vesela, ko dobim priložnost testiranja novih izdelkov. Če je pa od Gaia Creams, je pa to le še bolj veselo testiranje. Torej, naj vam predstavim moje trenutno najljubše olje za lase, Gaia Creams Gorgeous Hair Oil*. Olje vsebuje ekološko pridelane sestavine, kot so olje žafranike, arganovo, sezamovo, konopljino, jojobino, mandljevo in avokadovo olje. - ščiti lase pred soncem in uničujočimi vplivi onesnaževanja. To čudovito olje najraje uporabljam večer pred jutranjim umivanjem las. Enakomerno ga razporedim po laseh, osredotočim se predvsem na konice in spodnji del las, na lasišče pa ga običajno ne nanašam. Moj postopek poteka tako, da lase razdelim po sredini glave, na dva pramena. Nato olje razporedim po dlaneh in ga nanesem na en pramen. Na istem pramenu las postopek običajno ponovim dvakrat, odvisno od količine olja. Nato lase le še razčešem s Tangle Teezer krtačo in naredim figo na vrhu glave. Zjutraj lase normalno operem, dvojno jih šamponiram z Acure šamponom za suhe in poškodovane lase z arganovim oljem, in nato uporabim še balzam iz iste linije. Lasje so po uporabi občutno mehkejši, bolj gladki in navlaženi. Drug način uporabe pa je nanos olja na suhe lase, kjer nanesem zelo malo, da lasje slučajno ne postanejo mastni. Ta uporaba mi je še posebej všeč, ker olje lase neprestano vlaži, obenem pa še krasno dišijo. Olje ima prijeten cvetlični vonj po mešanici eteričnih olj palmarose, geranije oziroma pelargonije in sivke. Na koncu lahko rečem le, ime pove vse. Čudovit izdelek je! Na voljo tukaj. When it comes to hair care, I don't experimente with so many products as I do with skin care. I mean I do try a new product then and again, but there aren't too many changes. But don't get me wrong, I still love trying new things, actually, I adore it. I'ts always amazing and super exciting when you get the chance to try some new and fabulously looking product, especially if it comes from such a lovely brand as Gaia Creams. 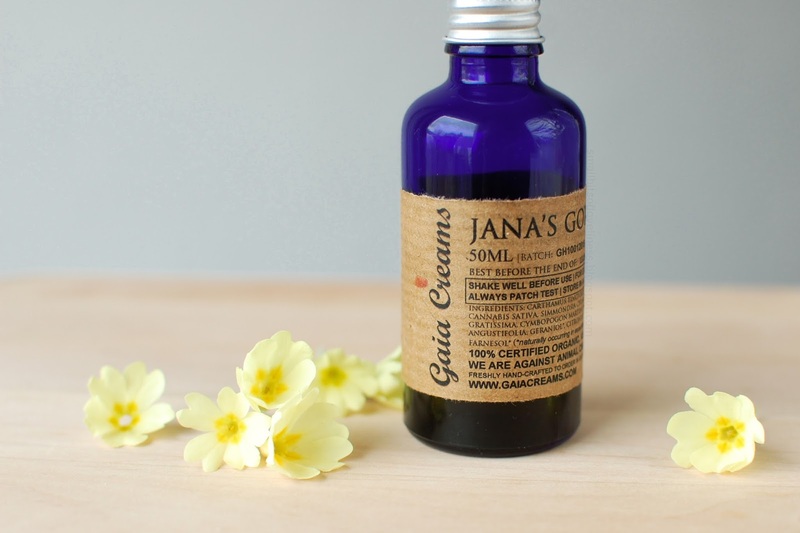 So, let me introduce you to my current favourite hair oil, the Gaia Creams Gorgeous Hair Oil*. This vegan and cruelty free oil is made from organic ingredients like Safflower, Argan, Sesame, Hemp Seed, Jojoba, Almond and Avocado oils. - Prevents hair loss and promotes new hair growth,. - Protect hair from the sun, and saves it from damaging effects of pollution. 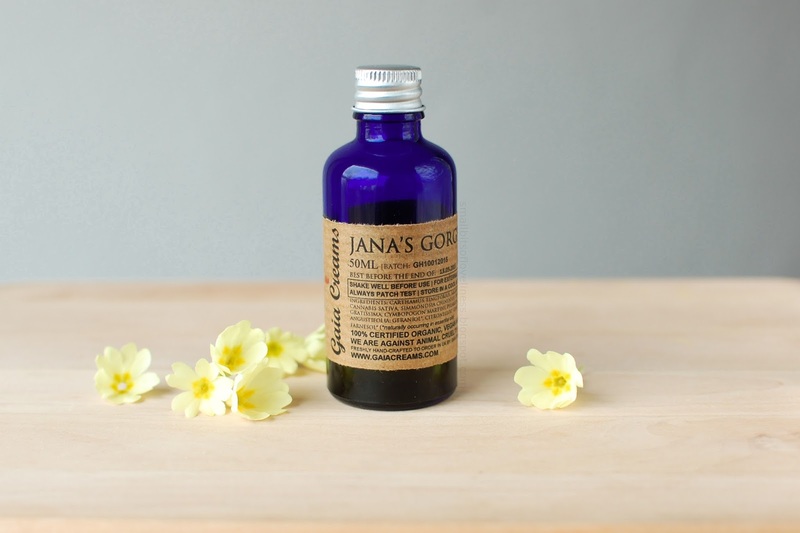 My fave way of using this divine oil is on the evening before my morning hair wash. I evenly apply it on my hair and I especially focus on the ends of my hair. I usually don't apply it on the scalp, because normally it doesn't need any special attention. I always part my hair along the middle of my head and divide it in two locks. Then I spread the oil in the palms of my hands and apply to one lock of hair. I usually repeat that twice, depends on the amount of oil I use. Then I simply brush my hair with my beloved Tangle Teezer and put my hair up in a bun. In the morning I wash my hair as normal, I double shampoo it and then also use a conditioner. Both from Acure, the Moroccan Argan Oil line, it's the best! 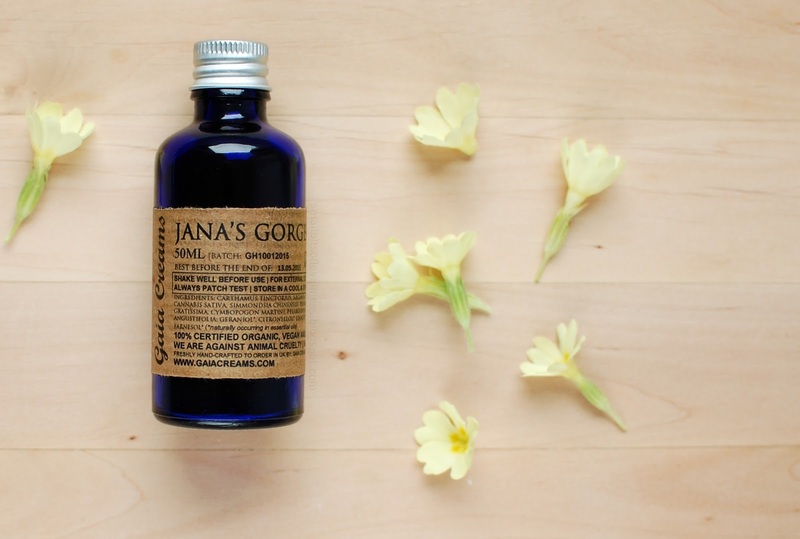 The oil is oh so lovely and it makes my hair softer, smoother and moisturized. In the end all I really have to say is, the name says it all. It's gorgeous! Get it here. Jana kak pridno delaš lušte :) Vedno daljša je moja WL z izdelki iz tvojega bloga. In vedno večja želja, da bi šla na bolj zeleno kozmetiko. But Gaia's hair oil seems to be also a great one! I don't do much with my hair, I have to admit x) ...but I really want to try coconut oil overnight before my hair wash as I heard such good things about that. This oil sounds lovely too. Lots of love, Theresa. I can relate with you, I'm pretty minimalistic with my hair routine as well. Gosh, you make me fall in love with this brand even more with each new review. I can't believe I haven't tried them yet! 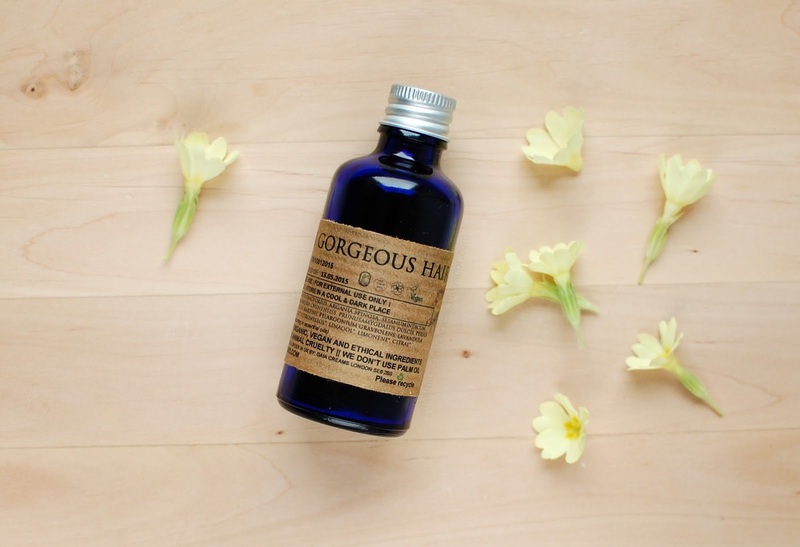 This hair oil sounds super lovely, the more essential oils the better! Gorgeous post! I found you via TLV Birdie's link up. this sounds lovely! 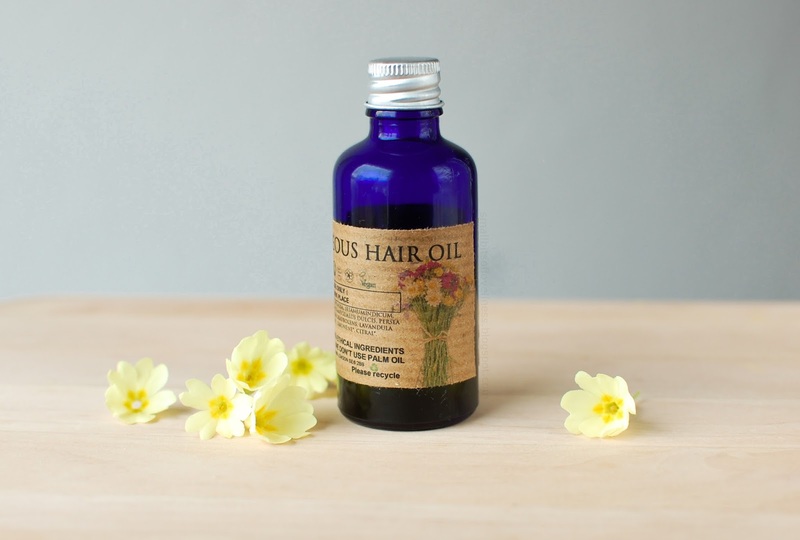 I'm a huge fan of hair oils also so will check this out - thanks for the review! 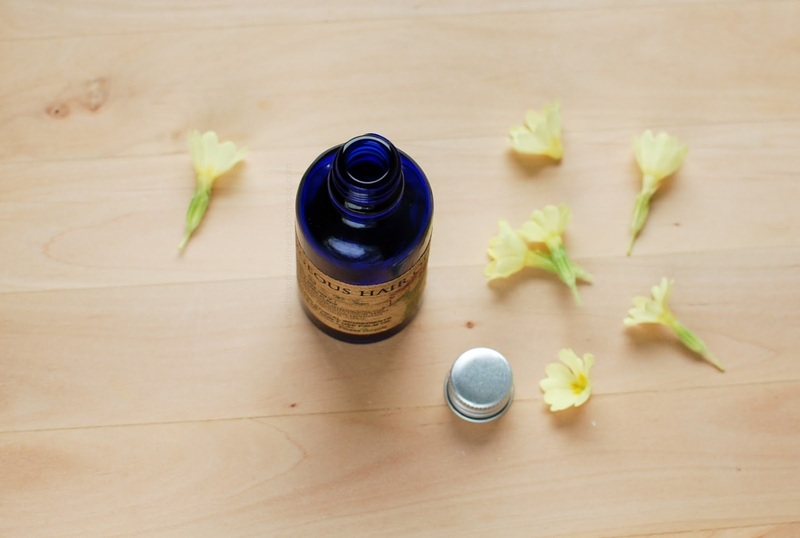 Tianna | http://storybookapothecary.com ♥ stop by and chat!